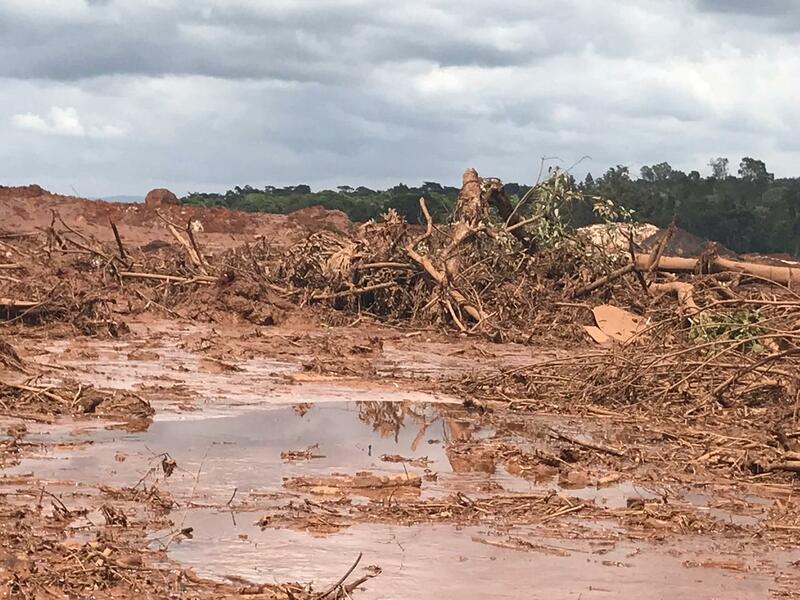 On January 25, 2019, a massive mining dam collapsed in north central Brazil, devastating the nearby community of Brumandinho. Dozens are confirmed dead and hundreds are missing—and the numbers continue to grow. The dam was 280 feet high and nearly a half-mile wide. Learn more about this disaster here. This tragedy could have been avoided. The company responsible for this disaster, Vale, is the world’s largest producer of nickel and iron ore; it has been destroying the land in the Carajás corridor for decades. The land is stripped, destroyed. The people are marginalized and mistreated. The company is known for its aggressive business practices and the destruction it leaves in its wake. In 2015 a similar event happened in the Doce River basin—an entire town was destroyed, the rivers and ocean polluted, and 19 lives lost. At the time, it was the worst environmental disaster in Brazil’s history. The Comboni Missionaries have long fought alongside the marginalized people of the world, sharing in their suffering, offering them hope in Jesus, and working to stop injustice. In 2007, the Comboni Missionaries along with many other groups, created Justiça nos Trilhos—Justice on the Rails—to fight for the people of the Carajás corridor in Brazil. What is Justiça nos Trilhos? “It is better to ask why we are. What motivates us to protest and fight the actions of one of the most powerful companies in the world? We oppose them because we know the truth behind Vale’s propaganda. 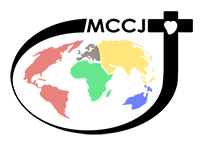 We try to unveil it, share our experiences, and fight together because we know that behind the company’s public image lurks aggression and destructive power. We know, for example, that its “sustainability” talk tries to cover the irreversible damage it has caused to the environment; that its story of “social responsibility” is told to hide its disregard for the rights of communities affected by its ventures; that spreading the image of satisfied employees does not eliminate a history of contempt for labor laws or intransigence and arrogance in dealing with unionized workers. Behind the beautiful picture sold on TV and in magazines, behind the slogans that declare the company to be committed to life and the “development” of the country, we see the transnational company’s obsession with profit and maximizing wealth. We see disrespect, injustice, poverty, suffering, death. We cry with Mother Earth tears of mud and blood. The Churches and Mining Network cries with the victims of the socio-environmental crime of Brumadinho, Minas Gerais (Brazil). We write today from this violated community, which we know well, after having shared with it several times its life and resistance to the expansion of mining. We also write from the many Latin American communities affected by the arrogant violence of extractivism, today silently embracing the little town of Brumadinho, in tears. We continue accompanying and advising the churches involved in the territories damaged by mining and in all open conflicts between extractive companies and communities (In Brazil alone there are more than 70 dioceses where these conflicts have been mapped). The company VALE SA, together with BHP Billiton, was responsible for 19 deaths and the pollution of the entire Doce River basin, in an incident on November 5, 2015. Now the same crime is repeated three years later, with even more deaths, confirming the inability of management to prevent further tragedies and signaling its disinterest and criminal behavior. This responsibility also rests with the State, which grants licenses to extractive projects and should monitor them to guarantee the safety and dignified life of the communities and the environment. The State’s responsibility is twofold, because impunity and insufficient reparations for the victims of the Mariana crime in 2015 was one of the main factors that contributed to the new crime of Brumadinho. When combined with political power, the capital of mining companies facilitates the installation or expansion of large extractive projects, while minimizing restrictions and licensing rules. The “Córrego do Feijão” itself, whose dam was broken, releasing a massive mudslide of toxic waste, just obtained last month an environmental license for the expansion of 88 percent of its activities from the Council of Environmental Policies of the State of Minas. Only the National Civil Society Forum on the Management of Hydrographic Basins (FONASC) voted against the expansion, denouncing “insane” mechanisms to reduce the safety requirements in the licensing of large mining projects. Since 2011, the people of Brumadinho and the surrounding region have been demonstrating in an organized way against the mine, its impacts, and its threats. The FONASC, in December 2018, wrote an official communication to the State Secretary of the Environment, requesting the suspension of the licensing of the Córrego do Feijão mine. The International Network of those Affected by Vale denounced at Vale’s Shareholders’ General Assembly in April 2018, “the dangers of the repeated process of reducing expenses and costs in its operations,” making explicit mention of tailings dams. Those responsible for these crimes cannot claim ignorance. On the contrary, in the name of “progress” and the profit of the few, there is a systematic silencing of dissenting voices. We enthusiastically echo the words of Pope Francis in his encyclical Laudato Si’: “The local population should have a special place at the table; they are concerned about their own future and that of their children, and can consider goals transcending immediate economic interest.” (LS 183). The newly elected president of Brazil, bowing to pressure from those who financed his campaign, expressed the plan to make environmental control and licensing as flexible as possible. He criticized the “environmental fine industry”; his government stripped powers from the environment portfolio, suspended contracts with NGOs committed to defending the environment, and eliminated offices that worked to combat global warming. Previous governments also facilitated the uncontrolled expansion of mining in the country, promoting the National Mining Plan and reformulating, by decree, the Legal Framework of Mining. This growth model is unsustainable and lethal; you cannot blackmail people who need jobs to survive in regions controlled by mining without guaranteeing safety, health, and social welfare. The problems are not solved “solely on the basis of financial calculations of costs and benefits” (LS, 190, citing Compendium of the Social Doctrine of the Church). “It is not enough to balance, in the medium term, the protection of nature with financial gain, or the preservation of the environment with progress. Halfway measures simply delay the inevitable disaster. Put simply, it is a matter of redefining our notion of progress” (LS,194). Frequently, companies and governments make mention of conflict mediation with communities through “dialogue.” They even seek the mediation of the churches, to give these talks greater credibility. They have also established extrajudicial mediation—an arbitration of sorts that invariably reduces their burden to repair environmental damage or pay fines for legal violations. However, the lack of mitigation and reparations, the recurrence of new disasters, and the repetition of irresponsible and criminal practices confirm that this is not a true dialogue. It is a corporate strategy to seduce public opinion, guaranteeing a kind of social license to pollute, reduce popular resistance, and avoid large financial penalties under the guise of sustainability and the common good. Rather than this one-sided and disrespectful “dialogue,” we trust in environmental protection laws and the rights of the people, as well as in authorities that effectively monitor their compliance and punish those who violate them. We support a Binding Treaty for Business and Human Rights at the international level, and a responsible, effective, and prompt judicial response for those who rely on impunity or, at the most, a slight financial inconvenience when the rare fine is levied. 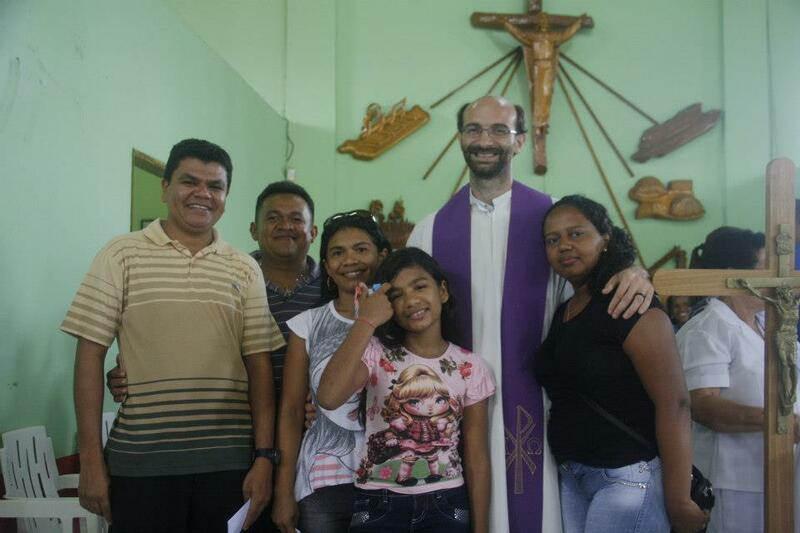 Comboni Missionary Fr. Dario Bossi works in Brazil. A mudslide in Brumadinho, Brazil has killed hundreds with many more missing. It was caused by a collapsed dam. The company Vale is responsible for this dam. Picture from Iglesias y Minería. Source. 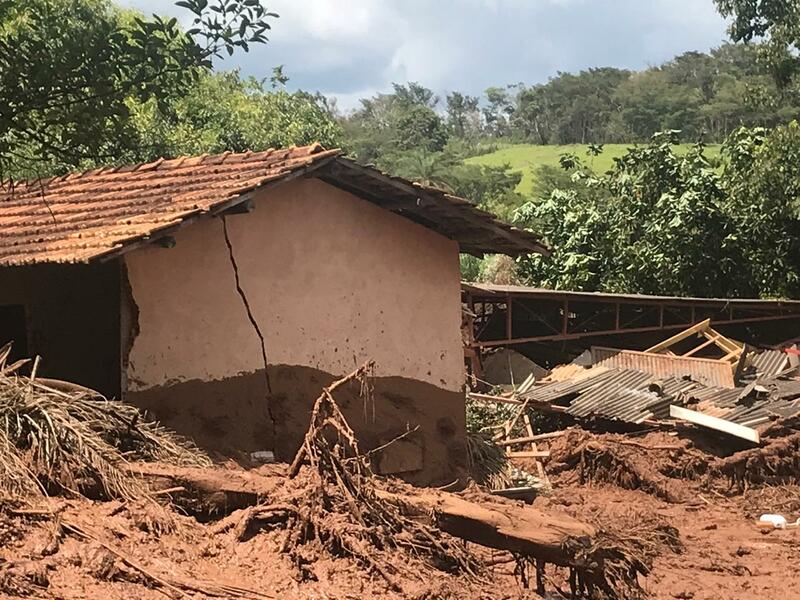 More than 400 people are still missing after a mudslide in Brumadinho on January 25. The company Vale is responsible for this dam. Picture from Iglesias y Minería. Source. 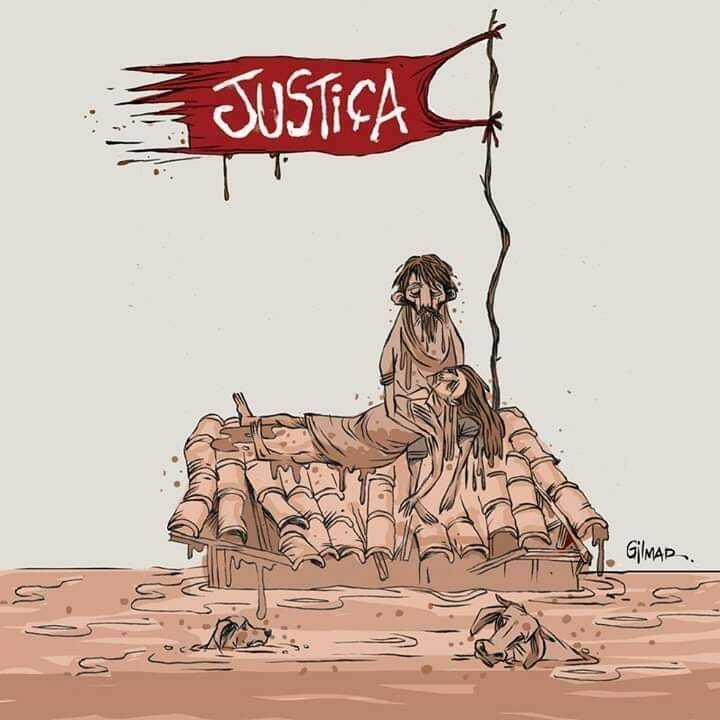 A political cartoon making the rounds on social media cries for justice for victims of the mining disaster in Brazil. Used with permission via Iglesias y Mineria.